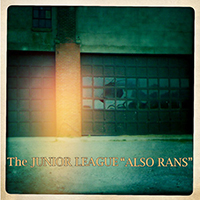 Previous to his new LP, Also Rans, I’d never heard Joe Adragna and his band, The Junior League. The New Orleans based Adragna has a voice that lands somewhere between Peter Hollsapple and Chris Mars of The Replacements (If you’ve never heard Chris Mars’ solo work, it blows The Replacements away, imo). And at times, tracks on Also Rans remind me a little bit of Holsapple’s post dB’s band, Continental Drifters (who also called New Orleans home, btw). A Minus 5 / Scott McCaughey presence is also very evident here. With all the requisite jangle and hooks, fans of Brit-influenced power pop will surely dig Also Rans – but there’s a fair amount of diversity in this collection for those with a wider palate. “Before You Go” has a Who-like drive to it and the right amount of jangle and quirk to please the REM crowd. “Please (I Need You To Go)” brings to mind 70’s sunshine pop. “If it’s You” is a nice bit of garage-pop and very catchy. The tempo slows for a few moments with the well placed “Disappearing Act” and things pick back up with the very Hollsapple/Continental Drifters like “Smarter Than That”. Perhaps the best track on Also Rans is “On/Off”, one giant hook from start to finish with a little bit of a synth-pop feel, this isn’t normally something I’d gravitate toward. But in this case, I have to make an exception. “On/Off” sounds as if it must have been a hit “back in the day”. You’ll ask yourself where you’ve heard this one before. But you haven’t. Trust me. Also Rans comes with a 5 song bonus disc and is scheduled for CD release on October 2, exclusively at Kool Kat Musik. 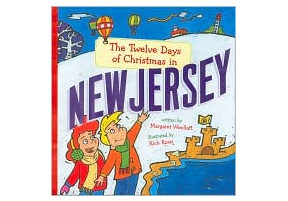 PRE-ORDER YOUR COPY HERE.